Well, I guess being a full race behind has become my blogging standard for the year… Shameful for a writer, but that’s just the kind of year it’s been. But I still wanted to write a report on the Xterra National Championship from September before writing about Maui, because it was a really big moment for me in terms of culminating the overall US Pro Series (and achieving a huge goal! ); it was a challenging day that taught me a lot; and it provides some really important context for the transformation I was able to make for World Championships last week (which I look forward to sharing all the details of soon!). Coming into Nationals, I had a lot of cards stacked against me. It’d been a challenging few months to say the least. When I first set up my race schedule, I had planned for no racing during the month of August to have time at home to put in a solid training block in preparation for Nationals and Worlds, and I was really looking forward to that. But as it turned out work was totally crazy during this time, and I ended up only being home for a handful of days in all of August. The travel was hectic and overwhelming, and trying to cram in training through all of the stress and moving around was not only really difficult, but also really draining. I LOVE training, but those few weeks were some of the only times I can remember when it honestly felt like a chore just because there were so many logistical challenges to getting in my sessions on the road with such a packed schedule. Needless to say, August was not a fun month. I was overwhelmed, stressed out and tired, even though my training load was minimal. I did my best to stay positive and just focus on doing what I could, keeping each workout as specific and purposeful as possible. But I did not get to do the work I wanted and had planned for, and ultimately I was not in nearly the form I wanted to be in when September rolled around. 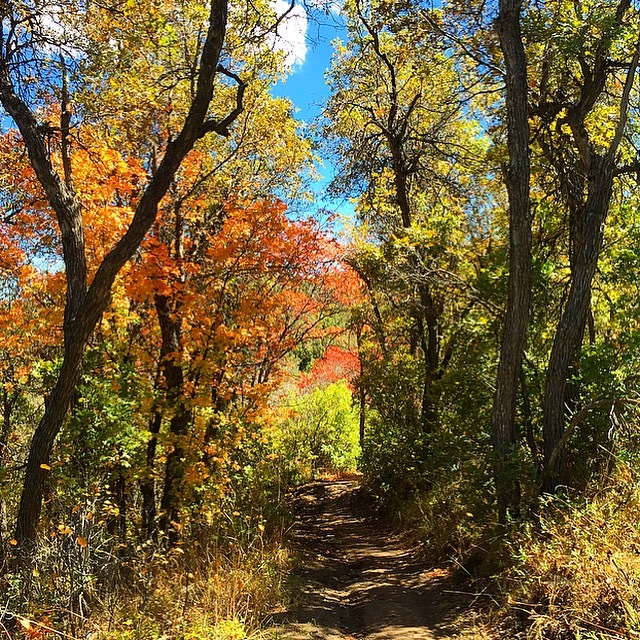 The beautiful trails of Snowbasin in the FALL COLORS! Then with one week until the race, I got sick and was out for several days and extremely run-down. I was pretty much better by the time I got to the venue, but being sick had already taken a big toll on my body. Knowing I was not quite operating at full capacity just yet, in combination with the sub-par training opportunities of the prior months and the fact that my ankle was still a ways off from being “fully healed,” made it hard for me to keep my head up and feel super confident going into the race. Then, to top it all off, good ole Aunt Flo decided to come visit on the morning of the race… brilliant! Sorry if that is TMI for some of you, but it is the reality that female athletes have to face, and let me tell you it is a tough one! 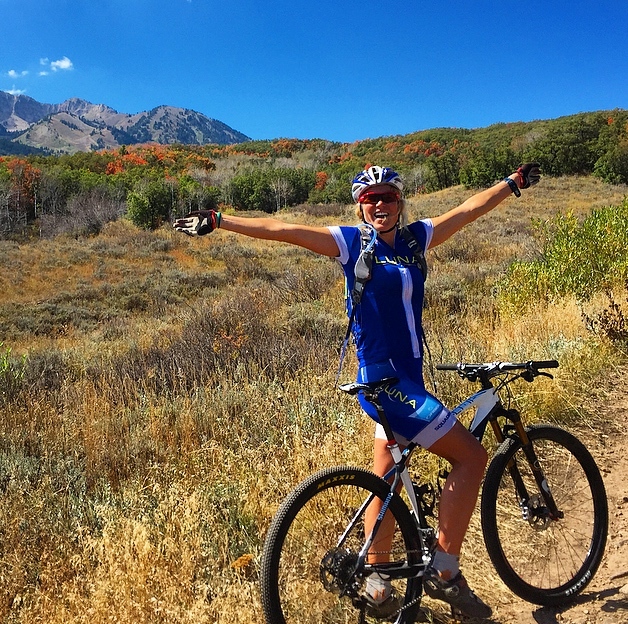 As I’m sure so many ladies out there can attest to, this kind of timing is the worst… starting your cycle generally makes you feel like complete crap (or at least for me! ), and it is so hard to even think about really getting your body to exert itself under those circumstances. So I was pretty bummed, but what can you do…? Do the best you can, and that’s that! There were some smaller issues too, like forgetting my wetsuit at home (really…?!) and having to borrow one I wasn’t super comfortable in; getting tangled up with an amateur male on the bike and getting knocked off the course (yet another example of why we NEED bigger time gaps between races in Xterra!! Ahem….! ); having to completely tie my shoes in T2 to protect my ankle; and the list goes on… These types of things seem minor, but on a day when you want everything to be ideal, and you know the competition will be fierce and margins will be small, all the little details can start to add up in a big way! All in all, my preparation and form were far from where I’d wanted to be for this event, and it’s never easy to head into a race knowing that. But the race was going to happen, whether I was ready or not. So I vowed to just do the absolute best I could with whatever my body would give me out there, regardless of the circumstances and no matter how tough things might get. I tried to taper my expectations, and stop hyper-focusing on the results. But this was also a challenge, as the US National Championship is the final stop of the US Pro Series, and the final opportunity to accumulate (or lose) points for the series overall. My primary goal for this season was to finish in the top 5 in the series, and I had a great shot at it – so long as I pulled off a decent result in this final race. I honestly felt a lot of pressure from that, but I did my best to remind myself that I couldn’t control what anyone else did and to stay focused on myself and what I needed to do to achieve the best day I could, even without ideal preparation. In the end, the race went about as well as I could have realistically expected. It was a very hard day and I felt totally unlike myself from the start. I was never able to find that “race gear” that normally comes so easily, my just body did not want to respond to my efforts (probably at least in part thanks to Aunt Flo’s dreaded visit, not to mention having been sick), and many things went wrong for me out there on the course as I struggled to find a rhythm. It was just plain tough! But I fought as hard as I could and gave it all I had, and even though it didn’t feel great I was actually able to salvage a solid result, finishing 7th place pro female, which was in fact a major improvement from the year before and a good indication of how things have progressed for me despite not having my personal best day. I was SO impressed with the quality of racing by my competitors out there; all the women brought their A game and just totally stepped up to the plate with some killer performances. 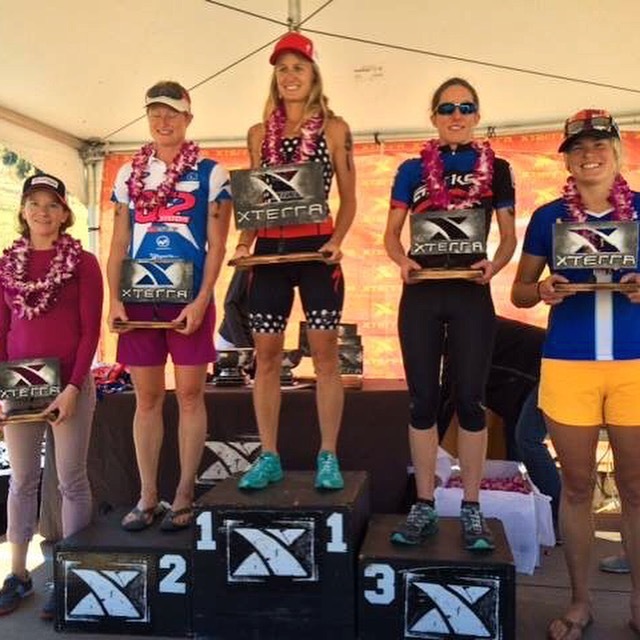 Such a strong crew of women in Xterra right now! I had to keep things in perspective after the race. I’d wanted more from that day and had initially expected more (I believe a top-5 would have been a very realistic goal for me here under better circumstances and with normal preparation). And, just as I did for Vineman, in my heart I still wanted to believe I might be able to pull off something great despite it all. But I also knew it probably wasn’t meant to be that day, and in the end it wasn’t. I wish I hadn’t had so many obstacles standing in my way for this race, but as we all know, in the end you just have to make the most of the hand you are dealt. And ultimately I believe that what happens is truly not near as important as how you choose to respond to it. So that being said, I am totally satisfied with my race and very happy with a 7th place finish, which is actually my best ever finish at US Nationals. It hadn’t come easy by any means, and as things played out I ended up having to really dig for it in the run when I absolutely did not want to, and wasn’t sure if I could. I hated that so much at the time, but in the end I was glad about having to put up that fight and find that extra spark, because it made the result that much more meaningful, and ultimately helped me feel like I’d achieved the goals I set out for myself at this race of pushing through every circumstance and making the most of what my body could give me – even though those goals had been adjusted. Most importantly, my 7th place at US Champs ended up being just enough to enable me to wrap up the series in 5th place overall, claiming the final step on the podium! I wasn’t totally sure how things were stacking up within the race and whether or not I’d done enough to stay in overall podium contention, but I knew it was going to be close, which is why it was so important to fight for that extra spot at the finish line. When I found out I’d earned just enough points to claim 5th in the series, I was thrilled and relieved (I’d put a lot of pressure on myself coming in to accomplish this), and also so glad I didn’t give up and was able to find the heart to keep fighting all the way through. Since this was my “A” goal for this season, it was immensely satisfying to pull it off! Such a great sense of reward after knowing how much went in to making it happen, and how many tough challenges had to be overcome along the way. Overall US Pro Series Podium. So honored to stand among these incredible women! I owe a huge thanks to a lot of people for helping me achieve this goal, and will elaborate much more on this when I write about Maui, but for now I definitely have to say thank you to August (Unleashed Coaching) for continually guiding and encouraging me throughout this process, even when it has been tougher than we both wanted; once again to Marty Schoonmaker for getting my ankle so greatly improved in such a short time; to my incredible sponsors LUNA, Oiselle and Orbea for providing me with the best tools possible to do my job; and an extra special thanks to my teammate and dear friend, Suzie Snyder, who went above and beyond out on the race course to encourage and push me along through the dark moments out there, and who proved that she has more heart and courage than just about anybody I know by starting and finishing the race despite being seriously injured and knowing she could not be a contender on the day. To me this was such an honorable display of grit, determination, dedication, and respect for her competitors and herself. Once again, you can’t always control what happens to you, but you do have a choice about how you react to it, and Suzie has constantly impressed me with her choices to respond so positively and bravely to her circumstances. I am in awe of her tenacity, and so so thankful to have someone like her in my corner! 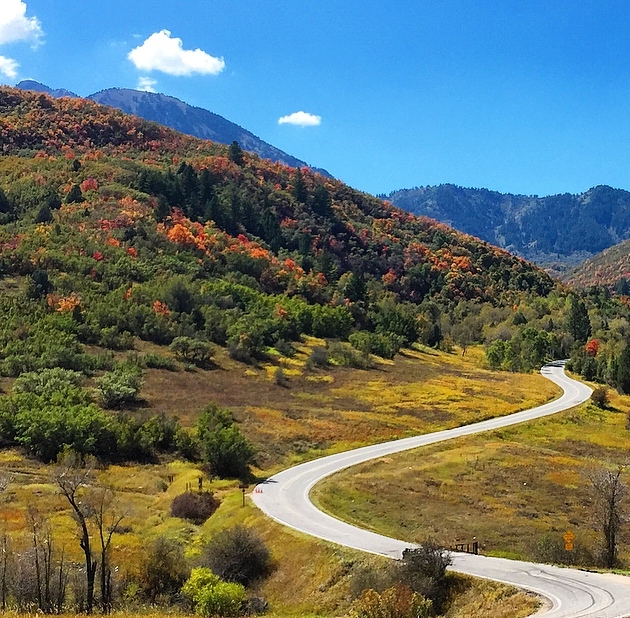 One more Snowbasin foliage pic. This course is a stunner!